The end of a marriage can be a frightening prospect. Spouses who are considering divorce will often be overwhelmed with the monumental changes that they will be experiencing and the legal issues they must address. The end of a relationship is emotionally difficult at the best of times, and uncertainty about what to expect can make things even worse. At Swearingen Law Offices, we believe in the importance of educating our clients about the divorce process in Illinois and personally guiding them through each step of the divorce process. We will go over the divorce statutes with you and make sure you understand how the law applies to your situation, giving you a complete understanding of what to expect during your divorce. While some firms use a team-based approach in which clients do not know who they will be interacting with on any given day, we take a personal, hands-on approach, with a single attorney working with you throughout the divorce process. When you hire us, you can rest assured that Attorney Brad Swearingen will be there by your side, answering your questions, going to court with you, helping you meet your legal obligations, and protecting your rights. Helping spouses resolve issues related to the division of property, assets, and debts. Determining whether a spouse is eligible to receive spousal maintenance and calculating the amount and duration of spousal support. Calculating the correct amount of child support payments based on parents' net incomes. Helping divorcing parents reach an agreement about the allocation of parental responsibilities and parenting time. Assisting divorced spouses who wish to modify or enforce their divorce order. Providing mediation services to help spouses resolve divorce disputes and reach an agreement without the need for litigation. Representing parents in child relocation requests and disputes. Acting as a guardian ad litem (GAL) to protect the rights and interests of children in divorce cases. Helping clients understand what to expect during the divorce process. With more than 38 years of experience representing clients in divorce trials and acting as a court-appointed mediator and court-appointed guardian ad litem, Attorney Brad Swearingen can provide you with the legal help you need as you work to achieve your goals in your divorce. 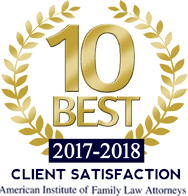 We will treat you with professionalism and respect, helping you maintain your dignity throughout the difficult divorce process while working to reach a resolution as economically as possible. With a skilled legal advocate on your side, you can be sure that your rights will be protected as you work toward a positive outcome to your divorce. Contact an Aurora divorce lawyer today at 630-896-8881 to schedule a consultation. We serve clients in North Aurora, Batavia, Naperville, Montgomery, and throughout Kane County, Kendall County, and DuPage County.